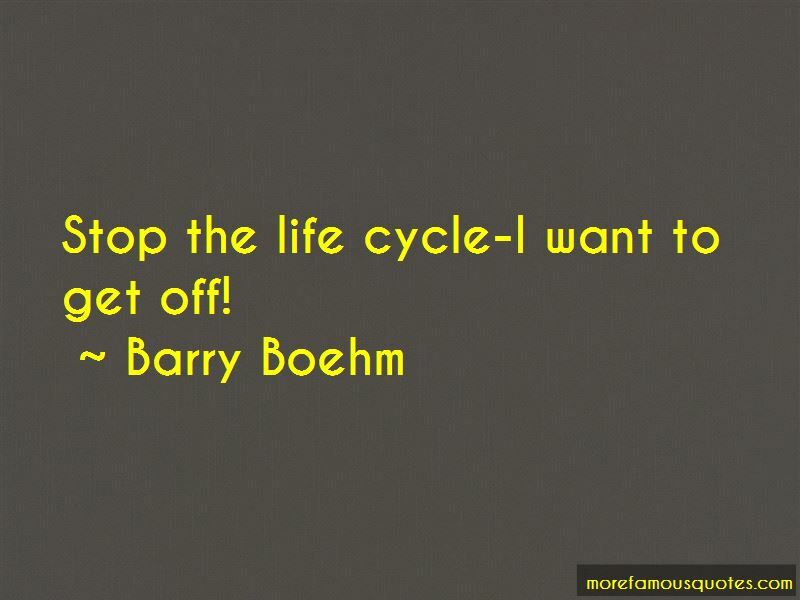 Enjoy the top 7 famous quotes, sayings and quotations by Barry Boehm. 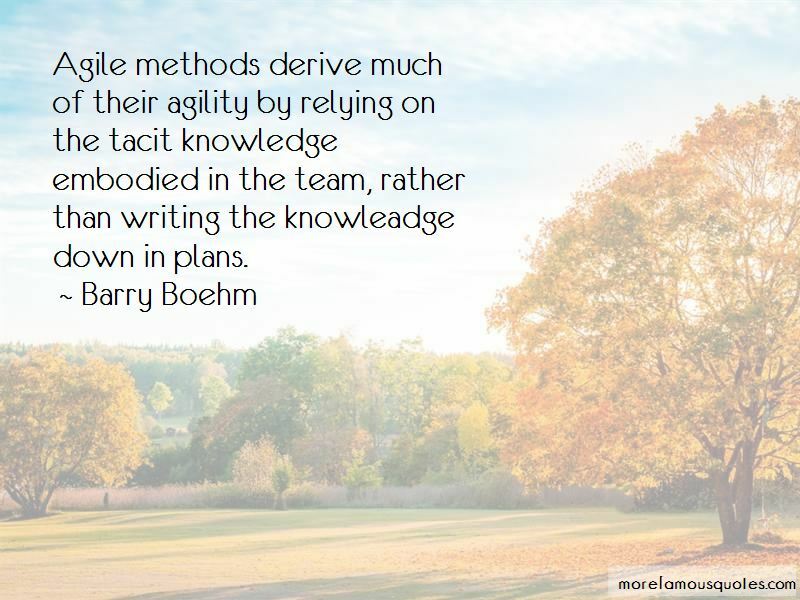 Agile methods derive much of their agility by relying on the tacit knowledge embodied in the team, rather than writing the knowleadge down in plans. Poor management can increase software costs more rapidly than any other factor. 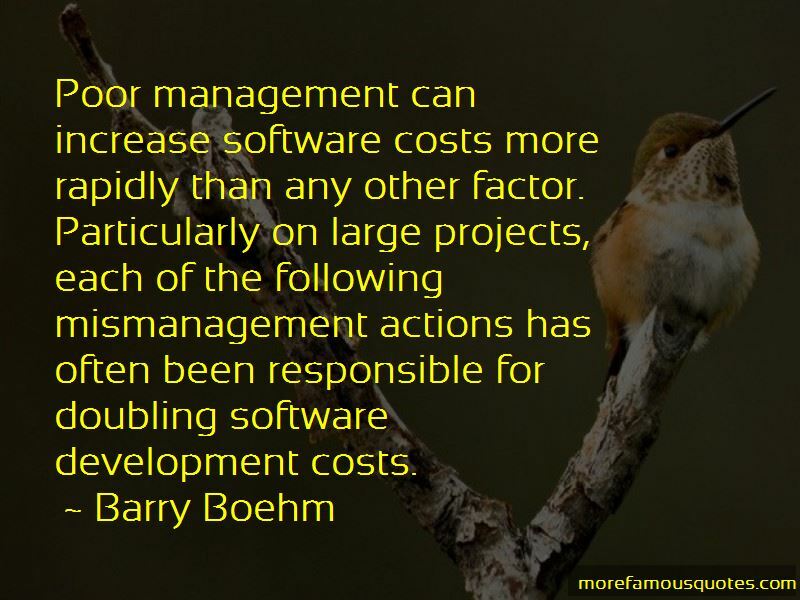 Particularly on large projects, each of the following mismanagement actions has often been responsible for doubling software development costs. Want to see more pictures of Barry Boehm quotes? 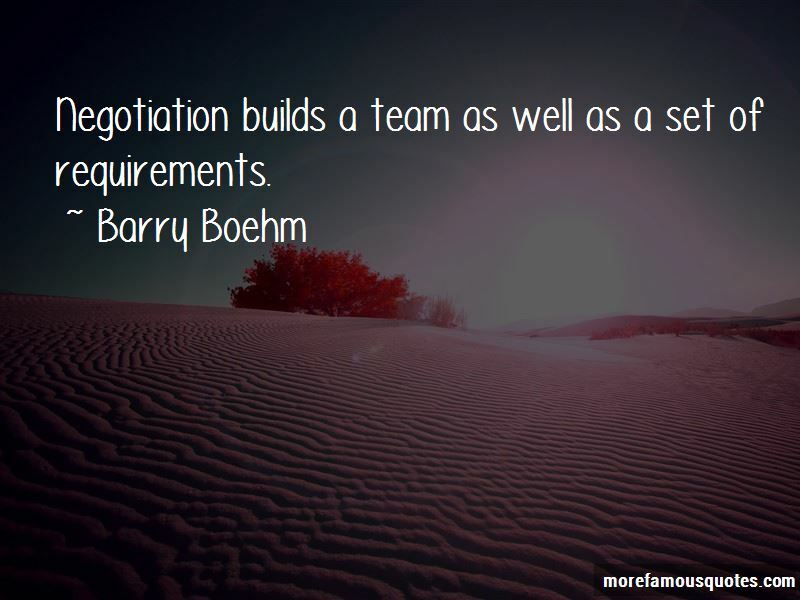 Click on image of Barry Boehm quotes to view full size. “God 10 A final word: Be strong in the Lord and in his mighty power. 11 Put on all of Gods armor so that you” — Anonymous.